Juilliard Curriculum Fellow Naomi Rowan gives us her personal account on the transformational role that music has had on her students' learning. 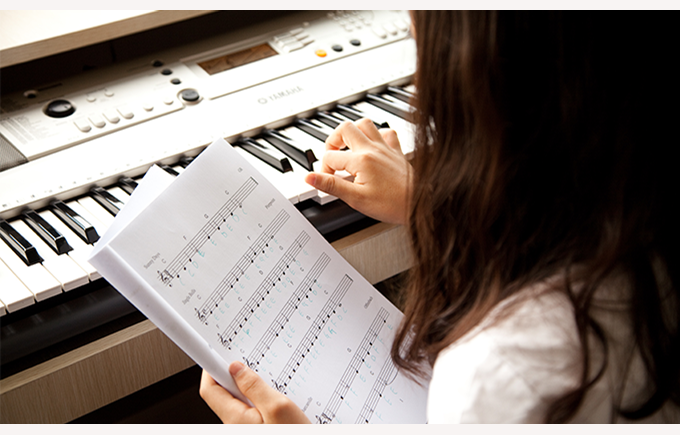 Close your eyes and think back to your music lessons at school. Are you filled with joy, anticipation and excitement? Music education over the years has taken many forms and our groundbreaking collaboration with The Juilliard School brings so much more to our young people, which is increasingly evident in our school communities. You might think that Stravinsky’s Rite of Spring would prove too challenging for our youngest students to learn, (and indeed many music teachers were skeptical), but the vibrant harmonies and unusual rhythms have made this one of the most popular works. The wonderful diversity of music we share with our students opens the door to cultural awareness through the performing arts. By exposing our young people to amazing music, we expand their minds to a world of possibilities. At the heart of everything we do is the firm belief that an arts education develops a wide range of key transferrable skills. The Performing Arts Learner Ambitions, created by Nord Anglia music teachers in collaboration with Juilliard, reflect these skills and form the basis for assessment. Students are actively encouraged to become curious, reflective and perceptive in their learning; all skills that can be used across other subjects, but are also vital to life-long learning and the ability to thrive in the real world. Traditional notation is taught and technical brilliance embraced, yet we also seek to enhance the skills of every child through the power of expression. We encourage our young people not only to perform ‘the dots,’ as my students commonly call musical notes, but to feel emotional resonance with the music. Through experimentation with musical elements, inspiration from outstanding composers and breathtaking performances by Juilliard artist visits, we help our children to discover and nurture their own creative interpretations. For a child to grow holistically - not only as a musician, but as a whole person – we encourage self-expression and open-mindedness in everything they do. The impact of this is evident every day, as questions and answers from students gain depth of understanding and curiosity. “Please can we listen to Beethoven again today?” (Jules, Age 6) pleading at the start of a lesson, “I can hear the bassoon, like in the Rite of Spring!” (Immie, Age 7) when listening to Mozart’s ‘Magic Flute’, “Please can I change the timbre to make it more expressive?” (Sebastien, Age 7) (yes, he actually used the word timbre, correctly, in context! ), “I like practicing because I can play things better and it makes me feel proud of myself” (Harry, Age 8) and ‘I LOVE Stravinsky” (Audrey, Age 5). These magic moments are increasing in frequency, not only at Nord Anglia International School Hong Kong but in Nord Anglia schools around the world. The programme also benefits teachers, taking us from small departments into an unprecedented global team. We now have a fantastic network for sharing best practice and have formed not only professional relationships, but lasting friendships. This in itself has a direct impact on students as the tailored professional development and supportive network has inspired and motivated us to be more ambitious in our teaching and expectations of what is possible than ever before. With a diverse, inclusive curriculum, phenomenal artist visits and amazing teachers, all underpinned by the Juilliard approach, I truly believe that students at Nord Anglia are receiving the best music education in the world. I am personally extremely proud of what has been achieved by the team over the past two and a half years, and very much look forward to witnessing the future rewards in store for our students across the world as a result.